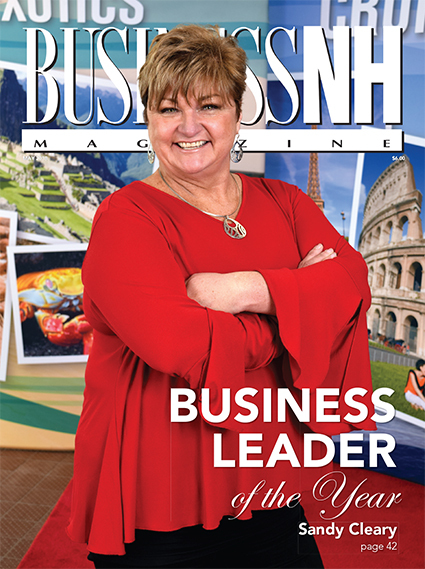 Business and Business Leader of the Year – Sandy Cleary is named the 2018 Business Leader of the Year. Discover who won the Businesses of the Year awards. Big Events Big Bucks – The Granite State hosts events that draw thousands of visitors&comma; infusing big bucks into our tourism economy. Staffing in a Tight Market – The talent war is on. Insurance Guide – DIscover whether your company should fund its own insurance plan; what is being done to fill the gaps in insurance coverage for mental health; and data about NH's insurance market. The Winners and Losers Under the New Tax Plan – We examine the good and the bad. The Office – Measure your culture to better manage It. Think Tank – Plan for the future&comma; not the past. Tech Report – Insuring against cyberattacks. Biz Bits – Business news&comma; views and trends from around the state.